The HiFocus Mid-Scala electrode for HiRes 90K Advantage implants from Advanced Bionics is the industry’s latest innovation in electrode design. Developed through extensive research and using state-of-the-art manufacturing processes, the HiFocus Mid-Scala electrode has been designed for optimal placement in the cochlea. 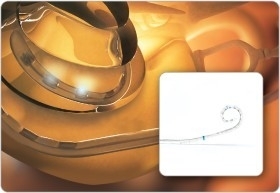 Featuring the industry’s smallest pre-curved array, the HiFocus Mid-Scala is also the industry’s only pre-curved electrode developed for the latest soft surgery approaches, including round window insertion, to suit surgeon preferences and individual recipient needs. Only AB offers surgeons the choice of using a freehand technique or a special insertion tool uniquely designed for easy control and placement. AB also exclusively provides the ability to reload the electrode in the OR. Offering surgeons precise control of the angle and speed of insertion, the HiFocus Mid-Scala electrode has been developed to insert easily and gently for maximum protection of the cochlea. 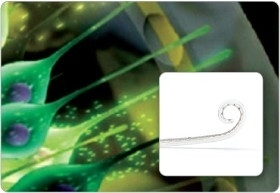 AB’s HiFocus 1j electrode is designed for highly effective placement inside the cochlea. With a robust design and ease of implantation, the HiFocus 1j is the electrode of choice for many surgeons worldwide. 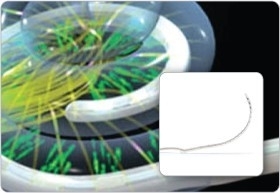 AB’s HiFocus Helix electrode is designed to conform to the cochlea’s natural contour. It can be implanted using more than one surgical approach and offers the ability to reload the electrode providing peace of mind to the surgeon. Every electrode array in the HiFocus family delivers focused stimulation through current steering technology — available only from Advanced Bionics — for hearing that more closely resembles normal hearing. Current steering utilizes 16 independent current sources to increase the number of distinct pitches heard. 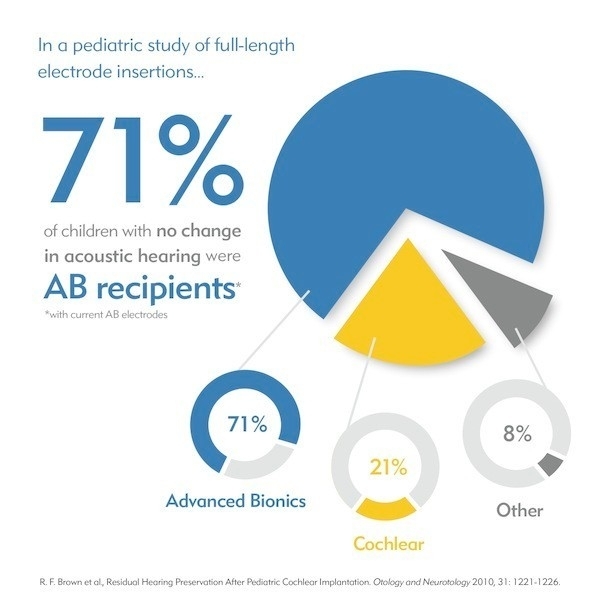 AB’s patented HiFocus electrode contacts are the ideal platform to deliver AB’s superior sound processing strategies for the best possible hearing outcome.